So drunky Mary Lou Wretched—like her counterpart, ME!—might be a grammar fiend who had to point out that quotation marks do not belong in this sentence. In fact, quotes like this are generally used for irony, or to show that the words within the quotes are not to be taken literally. So I’m a bit confused. 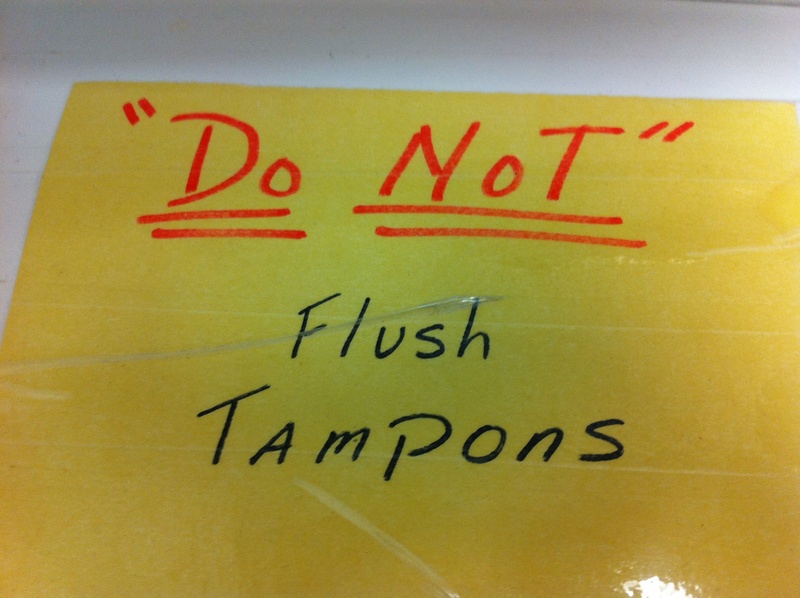 Are you daring me to flush a tampon and see what happens? If you’ve never seen Frisky Dingo on Adult Swim, not only have you completely missed out on sheer brilliance, but they tackled this very subject in a hilarious clip during season 1. “Wild Turkey” Wretched just wants the world to know that rogue apostrophes do not belong in every day sentences. See how that works? I used Wild Turkey in quotes because I drank a lot of that crap and it brought out a weird side of me that my derby sisters rarely see. Now it’s your turn to try it! *We’re actually very lucky we didn’t end up in jail. Below is a clip of the result of all of those shots and Route 66’s amazing after parties. I believe this was just moments before we got pulled over for Doc Cera Belum driving her truck with 9 members of the Springfield RollerGirls tucked lovingly in the back. That was run-in numero uno. Our second run-in involved us trying to get into what we wanted to be our after-after-after party destination. We were told we were too rowdy and not welcome to come inside. Our reputation preceded us.